At my wedding, I was my own wedding planner. We couldn’t afford to spend $18.000 on our wedding (yes, that’s what it costs to get a wedding planner in Hawaii), so I planned our wedding. From the day Jeff and I got engaged we had 10 months to plan my childhood princess dream wedding on a budget. At this time in my life, I was finishing my degree in Communications which means traveling between Hawaii and Denmark every other month to be in class. Was it stressful? Yes. Did it work out? I had the best day of my life. Friends have later asked how I survived the wedding stress. I was so relaxed on the day. Also, I have brides-to-be girlfriends that have asked how we kept the cost to about $6.000. Knowing the stress that I went through in preparation for the wedding I would do anything to help a bride who is planning her own wedding. I know you spend hours researching, contacting places for quotes, have checklists that just get longer, and family members asking way too many questions about things you don’t know yet. 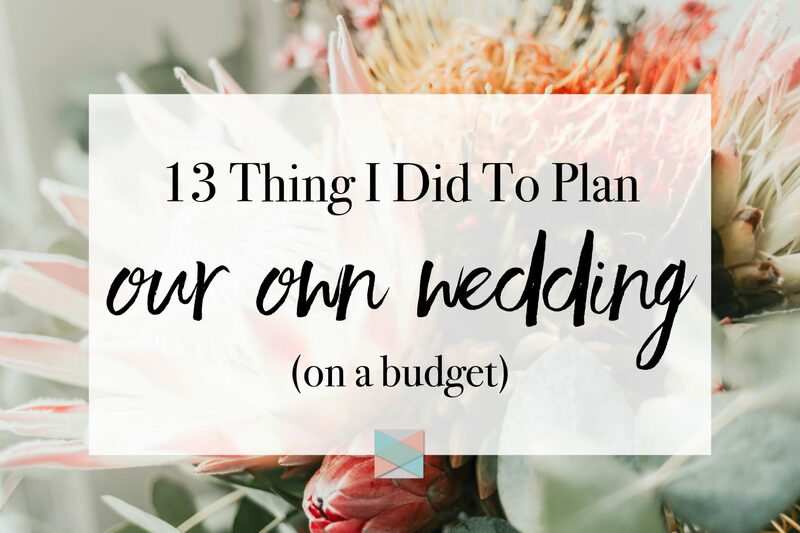 Here are the 13 things I did to survive planning my own wedding. This is a longer post, so grab a cup of coffee and get comfortable. Also, my best of luck and wishes to you as you steer through the planning period. The first month I spend a lot of time on Pinterest looking for cute and realistic ideas. Pinterest allows you to share ideas with others. This is smart when you get closer to the wedding because it can help clarify what you mean. I was speaking with my family, bridesmaids, and vendors, and I was able to show them exactly what I wanted. 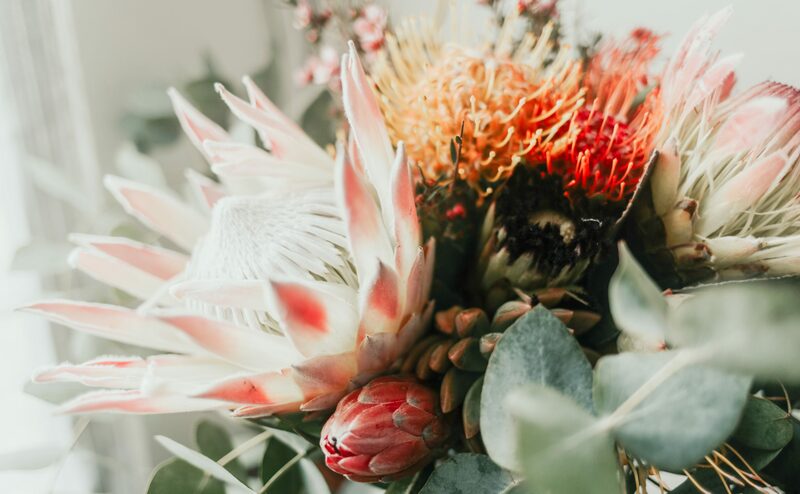 You might hear brides or wedding planners say that Pinterest posts are not realistic, but the point of using Pinterest during your wedding planning is not to copy other’s weddings. The purpose is to organize ideas, vision, decide on colors, find bridesmaid’s dresses and so on. Pinterest allows you to create a “mood board” that is accessible to anyone that is helping you. If your budget is smaller, then you can find unconventional vendors, which can help you cut the cost, but it means you are going to have to work a little harder. We found a residence with a large plain front yard and rented that for $500. Once you’ve made up your mind, I recommend putting down a deposit as soon as you can. Especially if you are your own wedding planner. I know, some will say that you should wait until the day off, but I won’t recommend that. If you pay in advance you don’t have to carry around money on the day and you don’t have to worry about connecting with the vendor either. We asked one of our really good friends to marry us. He has some experience doing it, and it helped a lot to ask him ahead of time because that meant he could walk with us and help us out before the wedding. It is a huge thing to get checked of the list, yet you want that person to have meaning to you, so I won’t recommend just hiring someone random. One of the things that cut the cost at my wedding was finding as many local options as I could. Looking at my wedding checklist there were things that are expected at weddings, that just got expensive. By choosing local options and thinking of different ways to do things, we got some spectacular deals that made the wedding beautiful. The flowers at the wedding. I could easily have spent $1000+ on hiring a florist, but instead, I found a local farm that sold me flowers by the bucket for a much lower price. Instead of big flowery centerpieces of cut flowers, I potted a bunch of flowers and herbs and made that the decorations for the wedding. I got many compliments on our alternative to centerpieces; they were functional and they fit the theme of the wedding. Also, it cut down the cost of flowers and I was able to gift our guests with herbs that they could continue to grow. A local landscaping company let me use their nursery plants for decorations. This was a much cheaper option for decoration than purchasing big decorations and it made the venue look like a garden. As mentioned, our venue was a large front yard, which meant we had to provide everything ourselves. We rented chairs and tables from a local university instead of going the expensive route of renting it from an event company. I got all our plates from a second-hand store and I ended up paying $70 for 140 beautiful white hotel grade plates. It would have cost me 280 for plain white plates that I wouldn’t be able to keep with a rental agency. Sidenote: If you end up purchasing a bunch of things for your wedding it will begin to take up a lot of space. Think ahead of where you want to store things before the day; preferably in a place with easy access. After the wedding, you can sell these things on craigslist or eBay and make a little bit of money back. We saved a lot of money and time by buying string lights that went on sale after Christmas. Also, we saved money buying tents online after the New Year, instead of renting them. We sold them after the wedding and made all the money back. Both of our wedding bands were bought online on Cyber Monday and we saved HUNDREDS of dollars. Holidays such as Halloween, Easter, St. Patricks, Black Friday, Cyber Monday etc. typically means sales. Think ahead before purchasing items for your wedding, since you may get a better deal on a holiday just around the corner. We cut cost, but also reduced the time needed to prepare food for the wedding. On the day of the wedding, the only thing we had to prepare was cutting fresh fruit for water pitchers and snacks. Family and friends are going to be more than willing to help out with anything they can at a wedding, but! There is a limit to how much help you want from family and friends if you wish for them to have fun and enjoy the wedding. One way to make sure things run well is to get hired help. I know, if you are wanting to cut cost you are looking for ways to avoid spending too much money, but this advice is helpful. What I did was hire friends who were going to go on a missions trip. They were looking for an opportunity to fundraise towards their trip, so their help became a donation. This arrangement guaranteed that all plates were cleaned up, refreshments were served, dessert- and gift table were managed, and that the wedding party was on cue to walk down the aisle. Finally, it allowed me to pay them and support their cause at the same time. I mentioned earlier that I paid for the venue as soon as I could. This principle should go for everything when it comes to wedding planning and staying sane. I know that for some, this might seem like such a simple thing, but when you make contracts with businesses this is often not the standard. You’ll usually end up paying 50% to get the contract and then 50% at the end. We made sure that the only person we had to pay on the day was the caterer, and that was only because he specifically asked us to wait. Everything else was paid ahead of time. This meant we didn’t need to walk around with envelopes of money and try to find people on the day, or people pulling us aside in the middle of the party. For me, that took a lot of stress of my shoulders. When it came to planning our wedding I had to find easy solutions at times. This meant I had to be willing to do things differently from the traditions for it to work for us. Traditions are great, but they didn’t always work for us. Jeff and I come from unconventional backgrounds, which meant we needed to merge traditions and try to make the best of it. Instead of a rehearsal dinner, we had a rehearsal lunch. It didn’t make sense to stop in the middle of setting up tents to rehearse the wedding. Thus, we introduced everyone to each other at lunch and then went to work. We also started serving the appetizers for the dinner right after the ceremony was over. Our ceremony ended around 3 pm and to avoid people getting drunk before dinner, and for them to have something to do while we were getting photos taken, we began serving light food. Another untraditional thing we did was ask our guests to bring the dessert. This is, however, a Scandinavian tradition, but it was unheard of here. It gave people an opportunity to make their all-time favorite family recipe for the wedding. It was also a lot of fun to see a colorful and diverse dessert table after the dinner. Let’s be honest. It’s easy to get lost in checklists, decor, and planning. To avoid stress at our wedding Jeff and I made sure to go on dates before the wedding. On these dates, all wedding talk was banned! We gave each other grace and “days off” so that we were able to catch our breath every now and then. We made sure to spend a lot of time with our families so that they got to feel as part of the wedding. 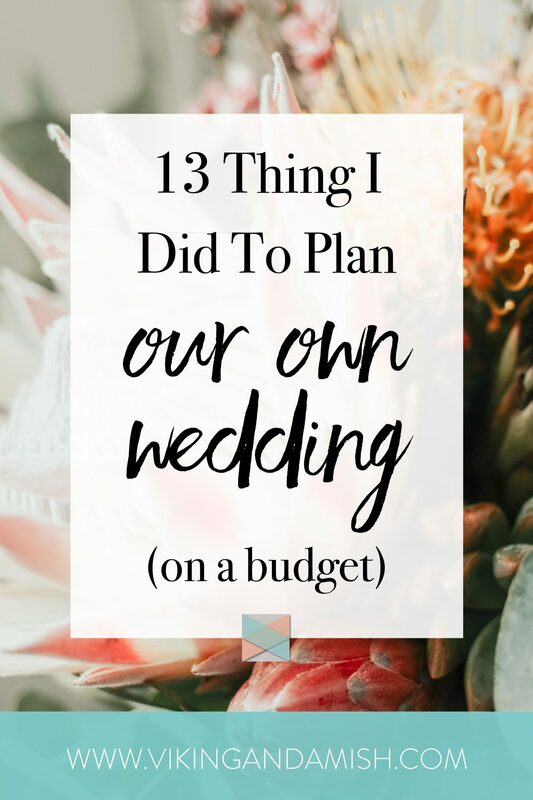 I had made it my mantra that I didn’t want to be a bridezilla and snap at the people I love before the wedding, but in doing that I took a lot of task on myself to not overwhelm them. There were times my sisters, or my mother had to stop me and say: “We got this.” I am a little bit of a control freak, so it challenged me to let go, but at the end, I was so appreciative of the support and assistant I got from them. It was the best day of my life so far; mostly because I was able to smile the entire day. Regardless, I did have to work hard to be able to have a stressless wedding day, but I was also able to let go of the control on the day. I had made up my mind that “mistakes” were allowed to happen. I knew I would be content no matter what because at the end of the day the small details didn’t matter. If you are your own wedding planner, you might not have much time to think about speeches or vows. I ended up writing my vows on a 5-hour flight from Oakland to Hawaii. The internet was down, so I couldn’t do any other sort of wedding planning, but it gave me time to think about our relationship and the things I wanted to include in my vows. Of course, it is completely up to you if you want to give a toast at your wedding. In case you are looking for some tips on how to pull this off and have a good experience at the same time read this blog. Maybe you have a great tip that you would like to share. Please comment or contact me with anything that you think would make the wedding/event planning easier.